Mexican studio AE Arquitectos has built a gabled stable from volcanic rock for a community ranch in Jalisco. 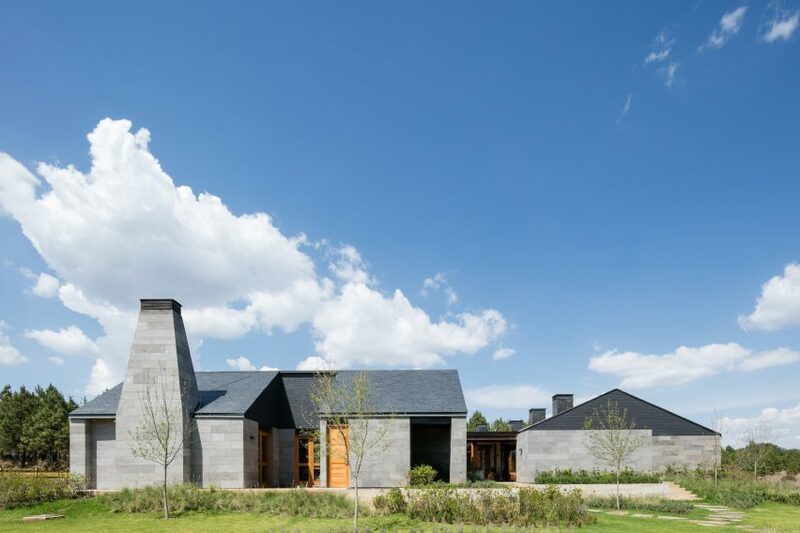 The ranch is designed with grey walls and black roofs, to create a neutral palette that contrasts with the lush mountainous landscape. The buildings’ grey walls were constructed from cut and moulded volcanic rock, while the gable ends are clad with rectangular tiles painted black to match the roofs. 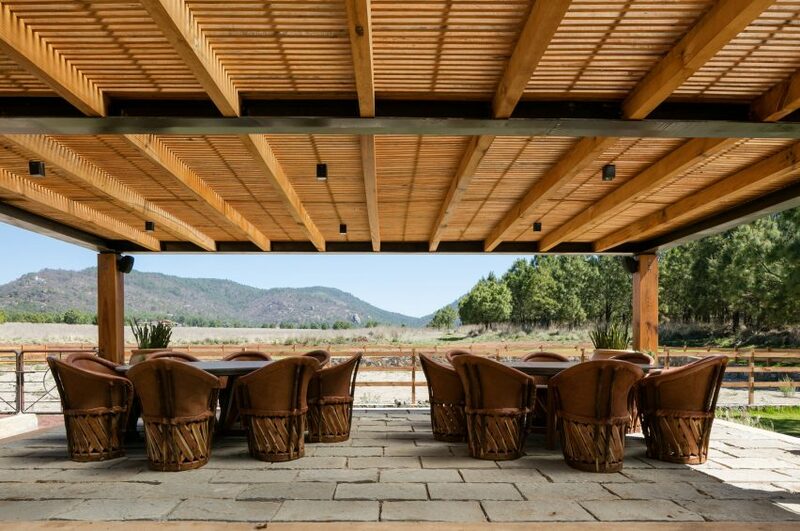 The stable’s wooden doors and pillars surrounding the central courtyard are constructed from pinewood, which is abundant in Jalisco where the ranch is located. The bright timber is intended to contrast the buildings’ grey colour and connect it to the surrounding countryside. 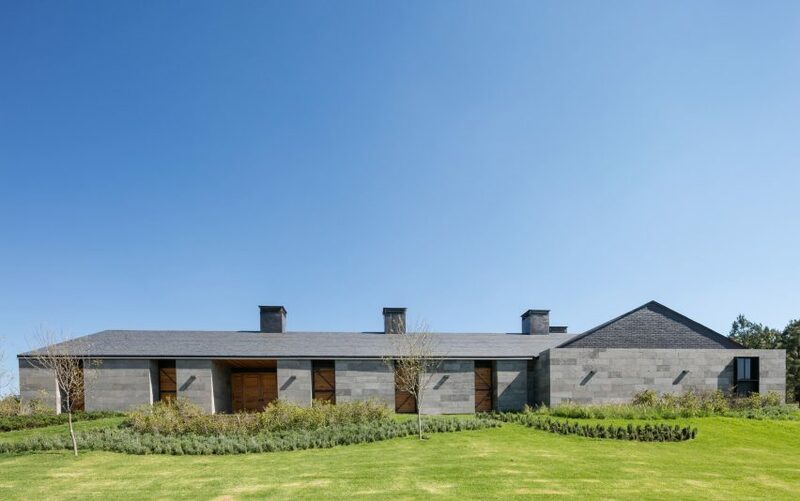 “Rancho San Francisco has a unique identity that originated from the selection of endemic and foreign materials,” said AE Arquitectos, which is led by Andrés Escobar in Guadalajara. Overall the ranch measures 9,849 square feet (915 square metres). The stable itself has an L-shaped plan and contains 15 stables, along with food storage rooms, a washroom and a seating area. Outside is an area for bathing the animals, designed with high walls for enclosure and privacy. 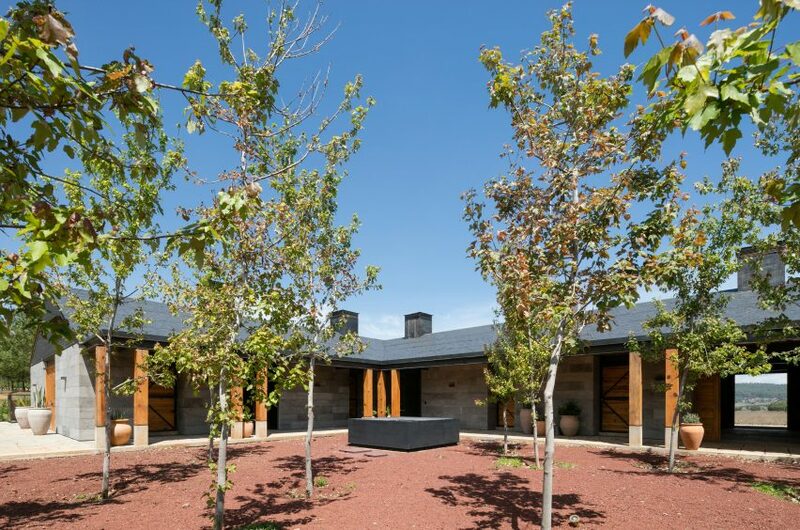 A smaller detached clubhouse for members, which contains a kitchen, living room, dining area and toilets, stands across the central courtyard from the stable. Attached to this clubhouse is a large covered patio overlooking an enclosed riding area, which serves as a place for entertaining and hosting community meetings. The central courtyard contains a grid of young oak trees, which will mature and add shade to the site. A black, square-sized fountain for the horses to drink from is also located in the courtyard. The region is known for heavy rains, and the landscaping takes into account this climate. “We designed a water borderline for the falling rain to flow into,” the studio said. The property itself spans 253,221 square feet (23,525 square metres), with the ranch facing an open field for riding. 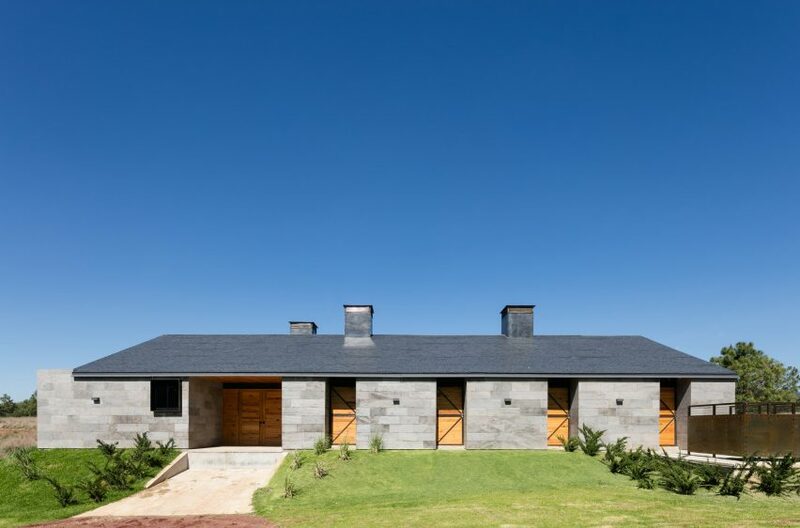 AE Arquitectos stable block is the latest in a series of ranches. 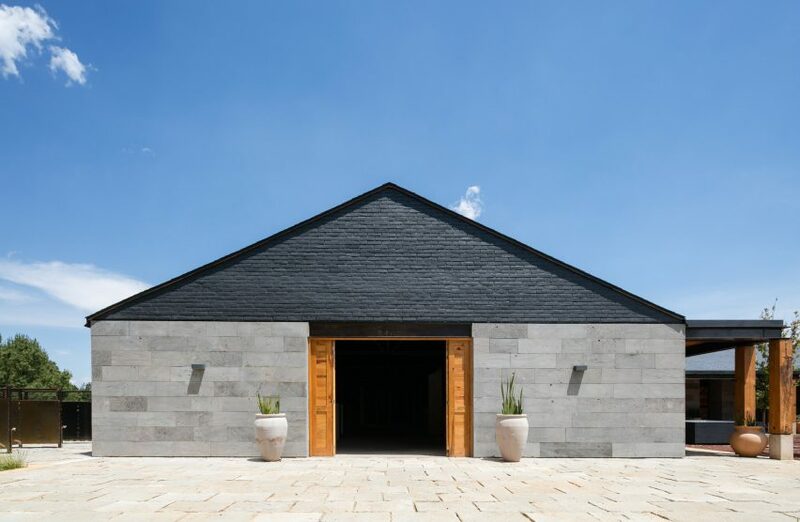 RE+D created a public bathroom for a ranch in Mexico with a prominent stepped roof for entertaining, while CCY Architects used locally quarried stones to build a ranch in Colorado. Photography is by Lorena Darquea.